Produced and mixed at Victor Studio, Paris 2002. "Do It Yourself" on side B consists of 8 locked grooves with different samples from the A-Side track. Track duration's and BPM are not provided. This Release is really outstanding and is still a Highlight in every case. Unbelivable deep athmospheric, melodic flair and powerfull Sounds in a own vain wich reminds you to a neverending experience on Goa, India or something like that. This is a Track you will get disappointed when it's over and the needle locks in the run out groove of the Record, i swear ! Unbelievably deep future music. 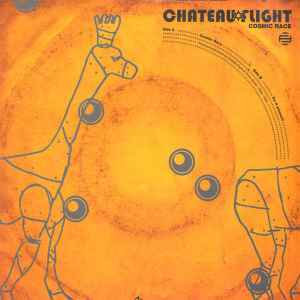 One of the best Chateau Flight releases I've heard and they have some great stuff prior to this release. B side is all locked groove sections taken from the A side. For DJs who like to scuba dive.